Researchers in Egypt did a fascinating study recently on probiotics for fish. They tested the effect of three different types of Psuedomonas fluorescens on two pathogens that affect tilapia in the Nile (P. angulliseptica and S. faecium). Their aim was to find a more eco-friendly way of controlling the pathogens in aquaculture compared to chemical antimicrobials. The probiotic was indeed able to control the pathogens, decreasing fish mortality from about 80% to 10-20% over a week. A few reasons for its antimicrobial effect are that P. fluorescens produces its own antibiotics, and it competes more effectively for iron than the pathogens can. This has interesting ramifications on antibiotic use. Antibiotics are widely used in food production and farming, so decreasing their use would be great for reducing antibiotic resistance that we see in unlikely places, like wastewater treatment plants and community parks. A small-scale application of this is something that we’ve non-seriously discussed with regard to the Aquarium Project. 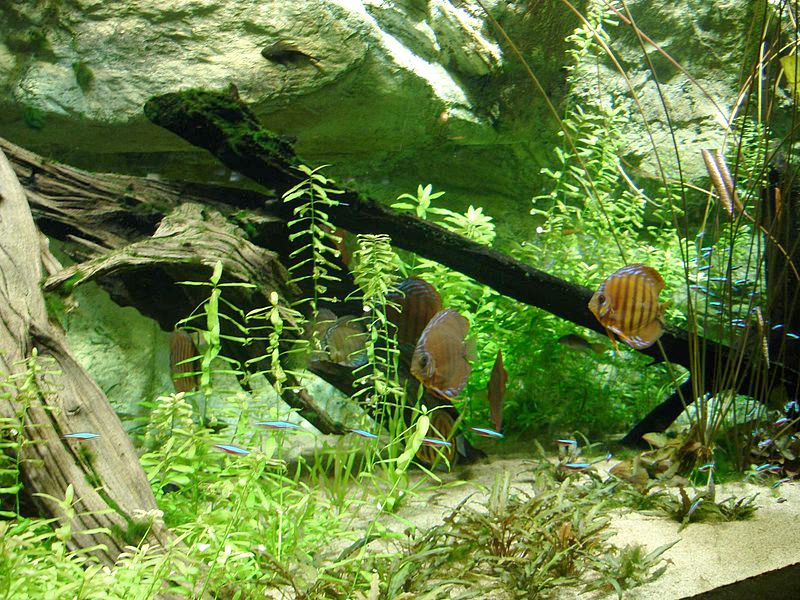 Probiotics for home aquariums do exist, but their effectiveness hasn’t been interrogated. This paper shows that probiotics can work for aquaria and fish.